Leaving a band to kickstart your own solo career; it’s a tale as old as time. And sometimes it’s inevitable, like when Anna Burch quit Frontier Ruckus to finally Quit The Curse. The singer debuted on Polyvinyl with a catchy yet complex indiepop record. So, after years of singing and playing bass in Frontier Ruckus and singing in garage rock band Failed Flowers, Burch is now out on her own, and with some well-deserved success. Earlier this year Burch and I met up in Amsterdam – one of us tired from driving back and forth to Germany the day before to film The Low Anthem, the other jet lagged. 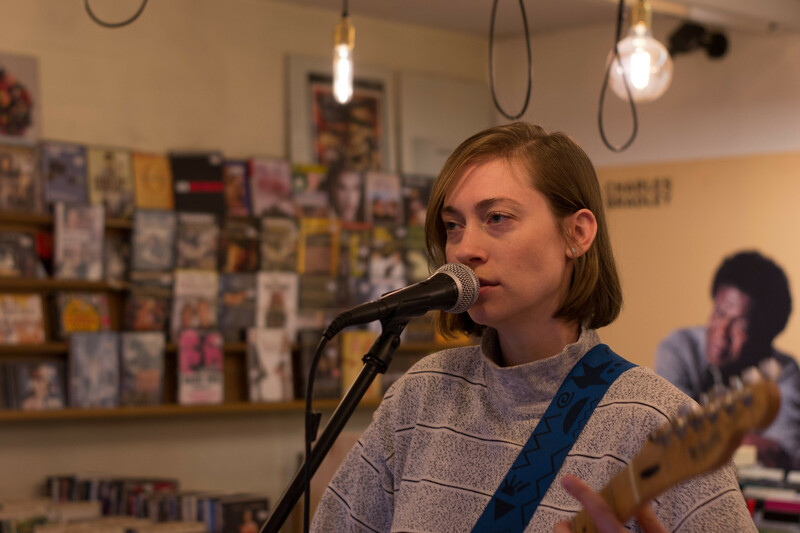 Safe to say the odds weren’t in our favor, but lucky for us – and you – we managed just fine and filmed a captivating session in the Velvet Music record store on the Rozengracht.